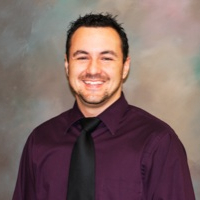 CRS Jet Spares has promoted Nelson Leal to Director of Sales & Operations. His previous role with CRS was dedicated as Sales Manager. “It is always a positive when you can promote someone from within the ranks to a role of greater responsibility,” stated Diane Leighton, President of CRS Jet Spares. Nelson’s new role is to manage the CRS Group’s sales effort, improve business processes, and assist in the company’s strategy for growth and profitability. “We believe that Nelson’s new role will make the CRS brand even stronger and more effective in meeting the needs of the business aviation community,” stated President Diane Leighton. Nelson has been a member of the CRS Group of companies for over 15 years. He started at a young age spending his summers working at CRS’s warehouse, learning the aviation industry from the ground up. He has been a member of the CRS sales team for the past 12 years. Originally from South Florida he enjoys spending time with his family, coaching his sons’ teams and volunteering for local charities.